My first response was to feel stung: Essentially, Abby says that if the vegans don’t like the traditional thanksgiving fare, they can bring their own food or stay at home. That’s an incredibly un-modern, ungracious, and dare I say, ignorant response on her part. It’s likely that Abby’s negative response was spurred by the apparent bossiness of the vegans in question. Evidently, these two vegan teenagers demanded that the entire meal be vegan. The host didn’t agree with this, and the demands sapped any willingness to accommodate their preferences. 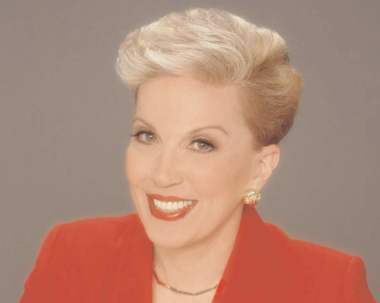 According to Dear Abby’s column today, most of the letters she received in response to that column were vitriolic against vegans and vegetarians. My guess is, it’s borne out of the defensiveness that arises from the mere presence or mention of a vegan. I’ve found that on occasion I don’t even have to say a word and just my being vegan raises people’s defences because it brings the ethics of what we eat to the forefront. Food allergies are considered more acceptable. But why should it matter? Consequently, the unwillingness of vegans to partake in a feast centred around a dead animal centrepiece is framed as a demanding inconvenience to the host and other guests, while under any other circumstances society would not expect someone to act in a way that violates their personal ethical compass. What rubs me the wrong way about this, and Abby’s response, is that I know literally hundreds of vegetarians and vegans. If you count the ones I’ve met only online it may be more than 1,000. And I cannot think of a single one who has ever demanded that the entire holiday meal be made vegan. I can’t think of a single one who WOULD ever demand that. Secretly wish? Absolutely. But demand? No way. There are some who simply (and quietly) won’t attend a holiday meal with a dead animal as the centrepiece, and that is their prerogative. By putting up the “straw man” of the overly demanding vegan the Dear Abby column has done a disservice to fostering understanding and accommodation between vegans and their non-vegan families. It’s created a war, rather than peace talks. I’m not going to lie to you. I would prefer if every holiday meal was vegan. 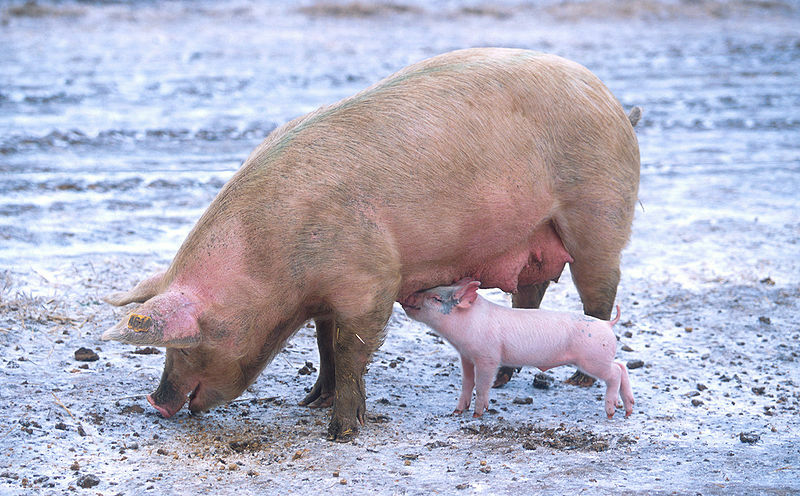 It always weighs heavily on my heart and mind that the clump of meat on the table that everyone’s eating was once an animal who lived and breathed, and likely died in a traumatic fashion. It requires significant cognitive dissonance on my part– and I imagine the part of many vegans, at least those who are ethically motivated— not to focus on that. I say this not because I’m trying to make anyone feel bad; it’s simply how I see it. Almost everything in life is seen differently through the vegan lens. A few thanksgivings ago, with some of my own contributions, I was treated to an entirely vegan thanksgiving at my dad’s house. I didn’t demand it; he just wanted me to be comfortable and knew I’d appreciate it. And I did. It was probably the best holiday meal of my life. Yes, the food was good, but it wasn’t even about the food. It was that my dad and stepmother were open-minded and accommodating enough to understand why it would mean the world to me. They didn’t suffer one iota by eating vegan food that one day, and neither will anyone else. This year the gatherings I’ve attended were not vegan, however both families made a (much appreciated) effort to ensure that some of the food offered was vegan, and invited me to bring food that was then shared with everyone. I personally am not a fan of just bringing enough food for myself, because that singles me out, and it misses an opportunity to show people how delicious vegan food can be. My mother-in-law even made a delicious vegan chocolate cake, as well as her “accidentally-vegan” war cake. The double batch of vegan Indian “butter chicken” that I brought was gone at the end of the meal. My own extended family marvelled at and happily indulged in the array of vegan food that I brought to share with them. Some advice for people who are sharing their holiday meals with vegans or vegetarians. Even if the whole meal isn’t vegan, a vegan will be grateful for accommodation when offered. It makes it a bit easier to deal with the proverbial “elephant in the room” if we are not ostracized, sidelined, or have unnecessary attention drawn to us or our diet. It’s highly unlikely that a vegan will question or berate an omnivore’s diet at the holiday celebration, so consider extending the same courtesy. Most vegans are happy to talk about veganism or vegan food if you’re interested in hearing about it, but NOT if it feels like an inquisition or cross examination. Consider that vegans are routinely singled out and viewed as the “odd” one, which is endlessly frustrating because even if you don’t understand why we have made the decision to be vegan, for us it’s something that makes perfect sense and has come out of a great deal of research and soul searching. Contributing to the sense that we are alien-like outsiders, especially during the holidays, will only ensure an uncomfortable time for all. We realize that many people have no idea how to make vegan food, and are shaky on what is and isn’t vegan. When we offer suggestions and advice it’s not to be bossy and demanding. It’s because we don’t expect you to have to do all the research yourself. 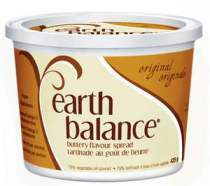 Often things can be made vegan very simply, such as melting some Earth Balance on the veggies, rather than butter, or whipping the mashed potatoes with some soy milk and Earth Balance. We’re usually even willing to supply it! Be willing to try new and different things too, and welcome the vegan’s contributions to the dinner table. I can assure you from personal experience that they’ve probably put a great deal of thought and time into preparing it. One of the most difficult things about becoming vegan for me was that it called into question all kinds of traditions and things I was familiar with. The warm feelings I had towards certain restaurants, name brands, companies etc. were replaced by a feeling of betrayal as I learned about their dark underbelly, the stuff the marketers don’t want you to think about. Suddenly the McDonald’s play room—which was a huge treat for me as a child—took on a sinister meaning. But I’ve created new traditions for myself where food is concerned, as well as activities and lifestyle. My life is completely different than it was ten years ago… but I like it so much better because I feel like I’ve done a huge amount of soul searching and that I’m now living in accordance with my core values. None of my favorite foods were vegan ten years ago, not a single one. But I have new favorite foods now, and I have never enjoyed eating more! It wasn’t always an easy process to let go of the things I was comfortable with, and it’s human nature to resist change and cling to tradition. But tradition isn’t a strong enough reason to keep doing something. There are many cultural and societal traditions that most of us can agree are abhorrent, and which are no longer permitted. I’m not saying everyone has to create new vegan traditions, just to consider whether it’d really be so bad. And if you’re not willing to outright exchange a tradition, consider adding a new one. Traditions are things we can create, or abandon. They’re a human construct, and we have the power to change them if they’re no longer suitable. If creating a new tradition can make the life of someone you love better, and it doesn’t harm anything, then why not consider it? Previous PostVegan food takes over the family holiday mealNext PostDid you miss Veg Fest guest speakers? Here’s your second chance. I also don’t know a single vegan or vegetarian who expects the entire meal to accommodate them at the home of friends or family. What I find interesting about the Dear Abby column and responses is that it seems to be a truism that vegans/vegetarians are the only ones who are “bossy” about their food choices. I’m sure most people, omnivores included, know a meat eater who has been demanding about where they eat, or what type of cuisine they will or will not eat. You know, people who don’t like buffets, or don’t like potluck type parties, or who insist on a very expensive restaurant even though not everyone going would like to or is even financially able to spend an extravagant amount of money on their meal, or who want to eat at Red Lobster even though not everyone in the group particularly likes seafood. I would like to share a happy story about my work place with respect to food. My team, which typically had 6 workers, a supervisor and a unit assistant, used to have 2 veg*ns (me, the vegan, and one who was vegetarian). In planning our team Xmas party for December 2005, the host was going to make the entire meal with everyone contributing toward the cost. At the time of the early planning stages, actually about as far back as September that year, I was not yet vegan. The host seemed as though she was going to make at least part of the meal vegetarian though not much discussion had taken place yet. Then, I went to an animal rights 101 conference and immediately went vegan, which somehow greatly incensed the party host. She implied that I had ruined things, even though I never expected everything to be vegan. It became a power struggle where she would not even tell ANYONE what she was preparing, from the appetizers to the dessert, saying she wanted to “surprise” everyone. Well, my other co-worker and I told our supervisor we would not be paying any $$$ because we did not know if there would be anything for us to eat, and we brought our own food. Another co-worker, though not vegetarian at the time (she did go veg a year or two later though), was sympathetic and brought a pie that was vegan. So, the food we brought was great, but the party was really uncomfortable as the whole thing had gotten so ridiculous because of how the host had behaved about it all. The following year, our supervisor decided to have it at her house – she made the main dish, while everyone else brought either appetizers or desserts. The main dish was wild rice, with two separate dishes to serve with it – one with chicken, and the other one a lovely vegan dish with chickpeas. Some of the desserts were not vegan, but I brought one that everyone LOVED. Then by 2007, the “bossy” co-worker had left the team. So for the really happy part, for the 2007 party, our supervisor announced that it would be a vegan potluck! With absolutely no prompting on my part! And we had Xmas parties at people’s homes in 2009 and 2010, again ALL vegan – it just became an expectation, but again, never with any pressure or even suggestion from the veg*ns. And of course, the food has been absolutely incredible. The omnivores on the team all came up with brilliant dishes on their own, making the wonderful effort to find recipes that would accommodate everyone (as one of our team-mates also has allergies to wheat gluten, refined sugar, dairy, and cashews! ).